If you're interested in all things beauty then I'm sure you would have scrolled past this palette on your Instagram feed once or twice already. 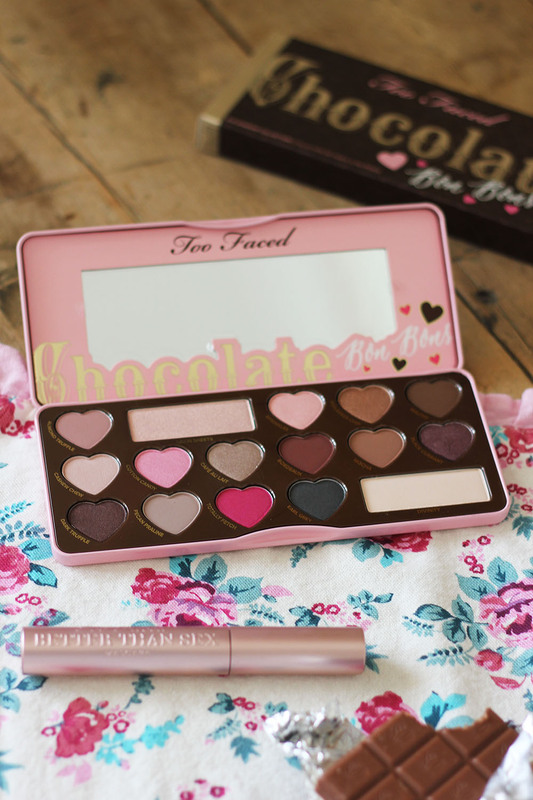 However if you're not a beauty junkie let me introduce you to the Too Faced Chocolate Bon Bons eye-shadow palette. There are 16 dreamy shades all of which have a delicate chocolate smell, presented in a beautiful sugary pink tin which is bound to perk up any dressing table. Now, lets talk about the shadows, there are a couple of the pink shades which I don't think I'd wear on a day to day basis, however I think they could be really fun to experiment with for a fancy dress look or if you were going to a festival. My favourite colours from the collection are Almond Truffle (matte), Bordeaux (matte), Blackcurrant (shimmer), Earl Grey (shimmer- which swatched beautifully), Sprinkles (Subtle glitter/shimmer) and Satin sheets (shimmer). I'm sure you'll see me wearing these eye-shadows in plenty of blog posts this year, and I'll be sure to let you know if I am! I'm a huge Too Faced fan, as all of their products are cruelty free and many are vegan. As a vegetarian I'm trying to make more of an effort to have only cruelty free make up and if it's vegan than that's even better! This palette also contains no parabens, which is nasty preservative chemical that cosmetic companies use to keep products from going off. I'm really excited to see what products Too Faced have coming out in the next year, as I've loved everything I've tried so far! I've got my eyes on the Sweet Peach palette when it launches later on in the UK this year, the colours look so pretty and perfect for the summer. *This product was sent to me, however all thoughts are my own! 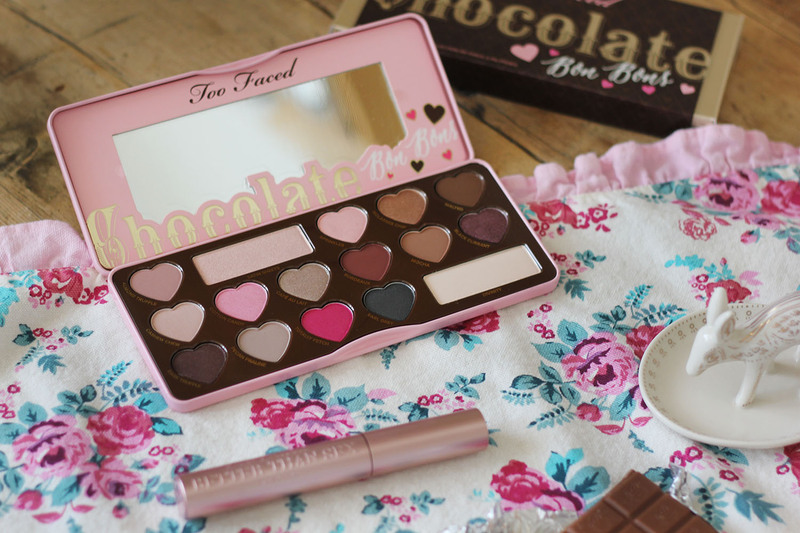 I love Too Faced! Not everything is Vegan but I'm hoping they're working towards that! 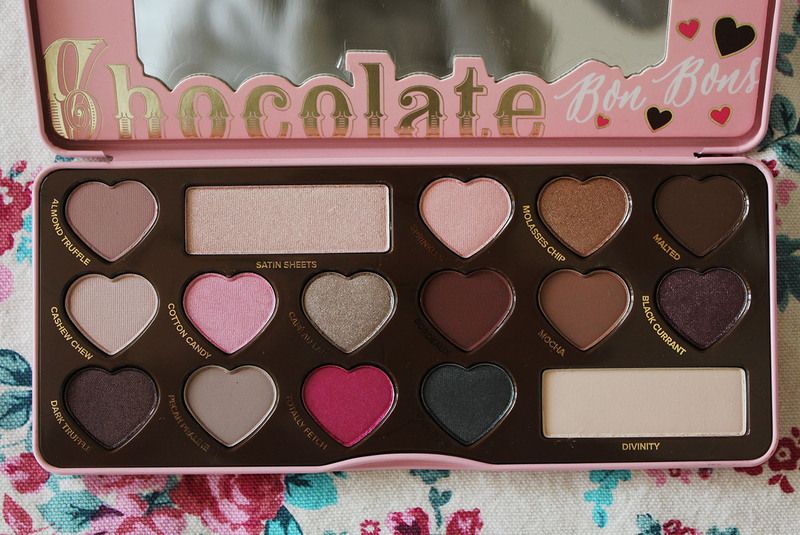 I heard a lot about this palette it's really cute ! Thanks, I'm so pleased to have it in my make up collection! 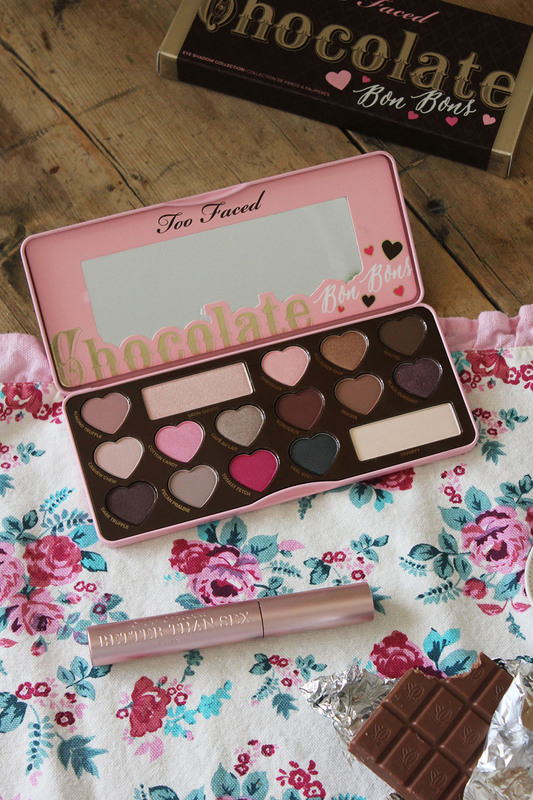 Such a cute palette, thanks for sharing!